I've been having a major love affair with Pinterest. I mean, I've always loved Pinterest but ever since Campbell has been born, I've gotten on the site much more than I used to. This may sound crazy but I feel like it's almost a little bit therapeutic for me. Whenever I've had a stressful day, I'll just lay down on my bed, get on Pinterest and look at pretty photos. It instantly makes me feel better and is the best way for me to de-stress. I've been doing some new decorating with my house lately. I'll definitely share photos when it's all said and done. 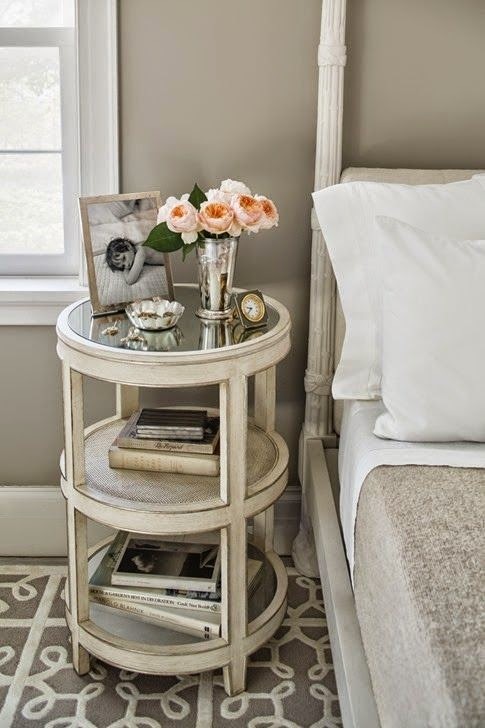 In the meantime, here's some pinspiration photos I really love for the home. I love, love this table. I'm currently on the hunt for one that looks very similar for my entry. I need it to be a little longer and more narrow but this is exactly what I've always wanted to find for my entry piece. Fingers crossed I stumble across one. I think a three tier'd round table is so fun. I recently got one myself and have enjoyed looking at all of the different elements I've decorated it with. 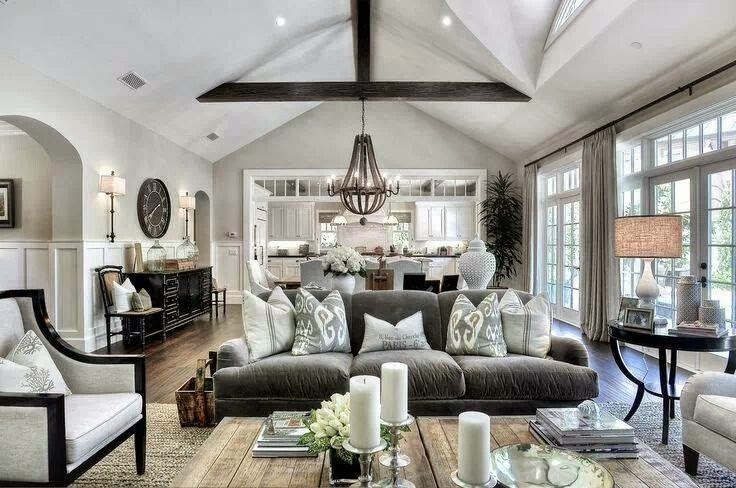 Everything about this house is perfect. 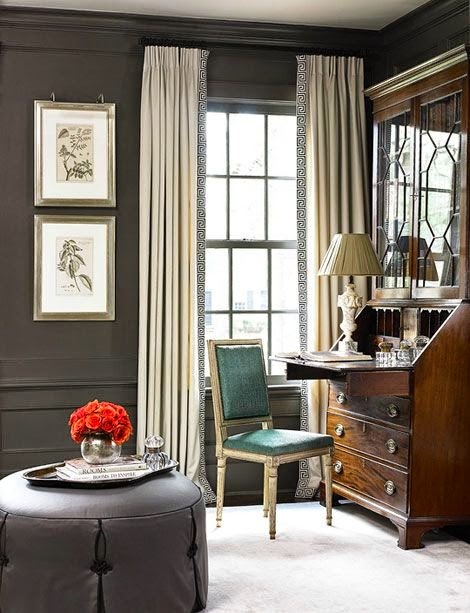 Love all of the trim and the wall of french doors. Swoon. 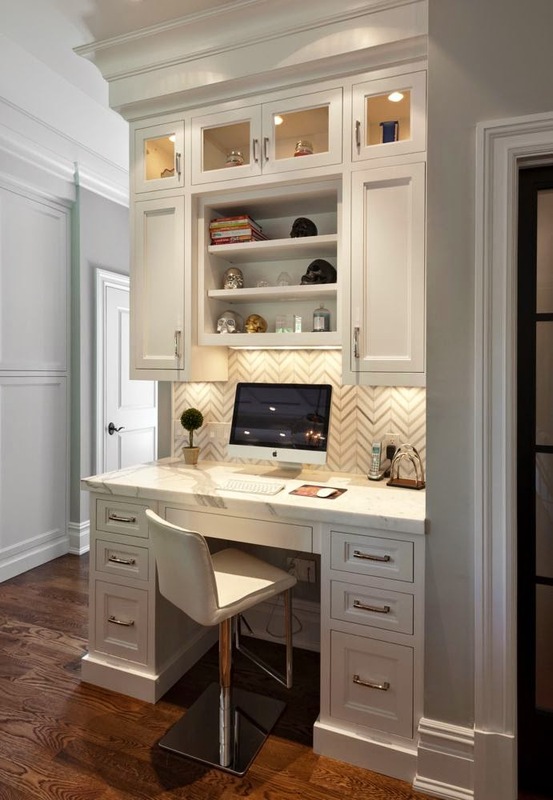 I would love to have a built in desk in my home some day. 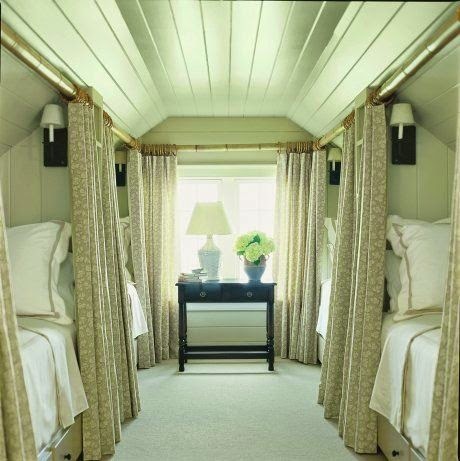 I also think it would be super fun to have a guest room that looked just like this!! I have no idea why. The guests probably wouldn't find it to be an ideal situation because they wouldn't have much privacy but I just think this is the coolest space. I love seeing what people do with small spaces. This is so neat to me. Simple curtains with a greek key trim. Yes. It's addicting!! I love it though.